The QS2 Range Hood is over 50% quieter than the average hood and delivers brilliant halogen lighting to your cook top. Three-position, soft-touch controls and a non-stick coating on the bottom cover make it smooth and easy to clean. 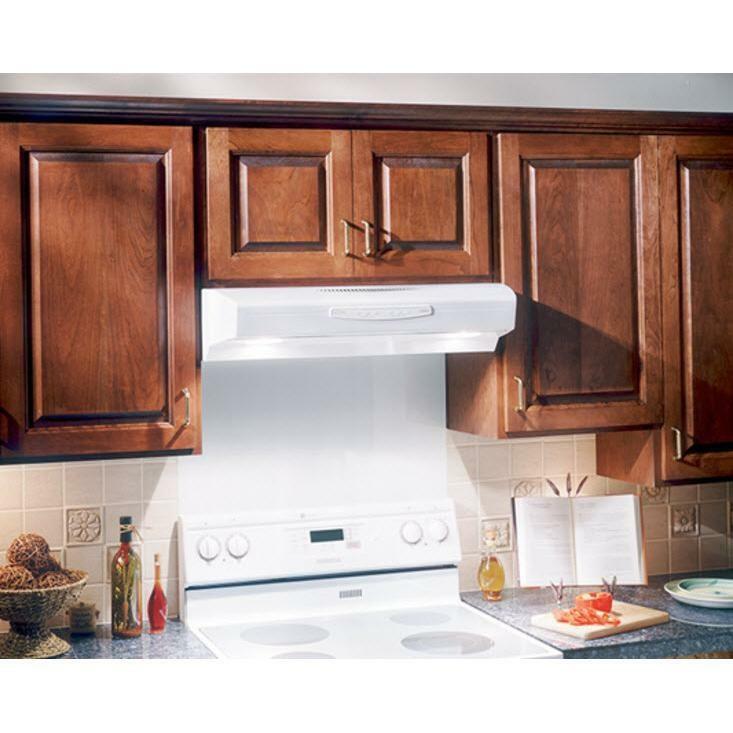 This hood’s quiet nature is due to its high-performance centrifugal blower. You’ll be able to carry on a conversation while cooking and you won’t miss out on the juicy details. Additional Information • Easy to clean DuPont Teflon® bottom pan, fully enclosed design. • Twin halogen light system designed for bulbs up to 50 W,(PAR20 bulbs not included), can be adjusted to three levels with the front soft-touch push buttons. 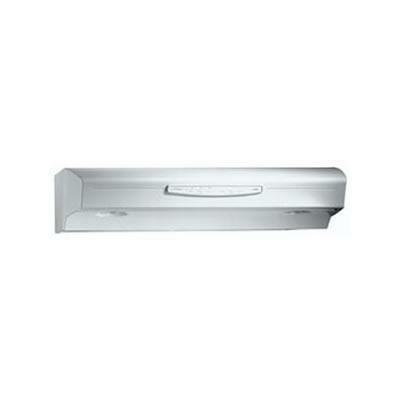 • Rated at 0.9 sones on Normal speed, the QS2 is over 50% quieter than the typical range hood in its class.